In today’s changing and challenging economic and political climate across the Middle East, economies are transitioning away from their historically state-focused roots. For this reason, privatisation projects, venture capital operations and sector consolidation of mature businesses are rapidly assuming pivotal importance as a springboard for a new breed of market economy. The resulting short-term resurgence of the equity market therefore places greater emphasis than ever before on accurate due diligence, to enable buyers and sellers of businesses to negotiate and achieve optimised value from equity transactions. Turning conventional methodology on its head, Lean Operational Due Diligence approaches the process from bottom-up. By focusing on actual activities and processes within the workplace (or “gemba”) – rather than relying on potentially inaccurate local management reporting forecasts – due diligence becomes an objective rather than subjective process. The result? Clear-eyed equity transactions offering increased value through a sharply focused platform for implementation of post-deal restructuring. 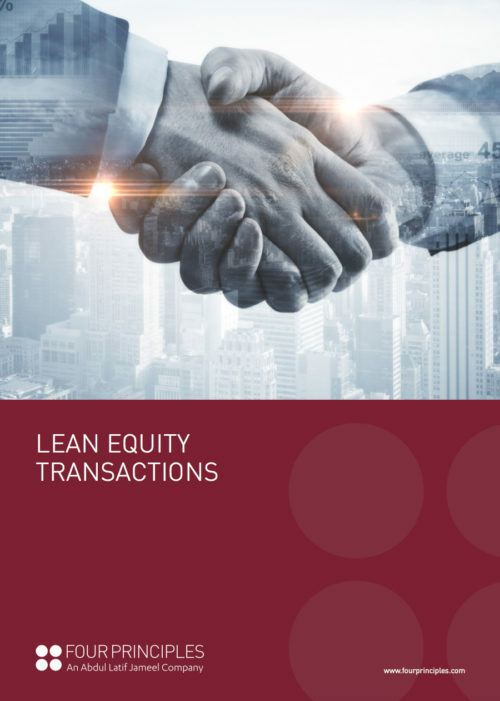 Clarity, accuracy and confidence – Lean provides a solid foundation for optimised equity transactions in today’s rapidly changing economic landscape.